BOSTON, September 27, 2018	(Newswire.com) - FinMason, a rapidly growing fintech firm operating one of the largest investment analytics platforms in the world, today announced that Optimis will be using FinRiver™ – a suite of lightning-fast investment analytics APIs – to power their offering. Optimis, a current participant in FinTech Sandbox’s startup program, is an alternative risk management platform that delivers alternative interest rate products and analytics to financial institutions and Fortune 1000 companies. With FinRiver™, Optimis will be able to accelerate the development of their platform and further their vision of creating a simple, cost-effective, customizable solution for managing interest-rate risk. 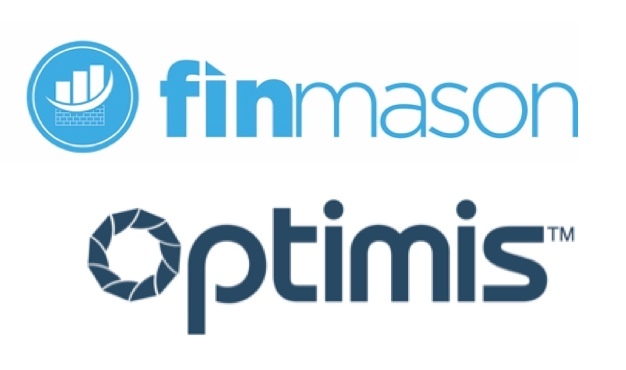 “As part of Optimis’ mission to reshape the future of capital markets, we’re pleased to partner with FinMason in delivering unparalleled risk management and unrivaled intelligence to market participants,” said Christopher Rivers, CEO of Optimis. “FinMason’s APIs allow us to get to market faster with a more user-friendly product, all while providing our clients with a broad range of institutional-grade analytics." Qualifying firms will have access to more than 700 analytics, including risk and performance metrics, aggregate factor exposures, scenario analyses and stress testing. An Investment Analytics as a Service platform, FinMason enables firms to accelerate their times to market through rapid prototyping and development, A/B testing and functional iterations. Their FinRiver API easily and flexibly delivers robust analytics to WealthTech firms interested in building or enhancing offerings. On Sept. 25, 2018, FinMason announced that Totum Risk had selected them to expand their analytics suite on their leading risk tolerance assessment platform. FinMason is one of the world’s largest investment analytics engines for financial services platforms. The Boston-based financial technology firm provides access to more than 700 calculations on every publicly traded asset in the world delivered through one simple API. Developed by FinMason’s team of seasoned data practitioners and nine Ph.D.s, the cutting-edge platform delivers institutional-grade analytics in milliseconds via two core products: FinRiver™ – a lightning-fast API that delivers any analytics anywhere in a financial services firm’s platform with just a few keystrokes; and, FinScope™ – a bulk processing platform that can analyze millions of portfolios every night for compliance screening and performance attribution. For more information, visit https://FinMason.com/ and follow FinMason on Twitter, LinkedIn and Facebook. Optimis is a leading innovator and developer of electronic marketplaces and analytics for capital markets. Based in Charlotte, Optimis’ risk management platform delivers the newest alternative for managing interest-rate risk with alternative interest rate products and analytical solutions that eliminate cost and risk of derivatives while managing risk exposures on corporate debt and fixed income. For more information, visit www.OptimisInc.co and follow Optimis Inc. on LinkedIn and Twitter. FinTech Sandbox is a Boston-based nonprofit that promotes financial technology innovation globally by providing free access to critical data and resources to FinTech entrepreneurs and startups. Sponsors include Amazon Web Services, Fidelity Investments, F-Prime Capital, Franklin Templeton, Intel, State Street, Thomson Reuters and Goodwin Procter. For more information, visit www.FinTechSandbox.org and twitter.com/FinTechSandbox.